Get a FREE Crawl Space Estimate! For a FREE no-obligation crawl space estimate and inspection in Indiana, please fill out the form below completely. 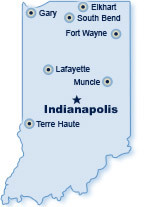 Indiana Crawlspace Repair will contact you soon.